Have you ever wondered how some divers seem to move effortlessly through the water, never touching the bottom and always relaxed and in control? 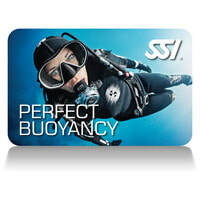 The answer is simple, Perfect Buoyancy, one of the diving fundamentals. If you want to optimise your buoyancy control, minimise your breathing gas consumption, and move effortlessly above the ocean floor the SSI Perfect Buoyancy program is the answer. Our experienced instructors will teach you the skills and techniques needed to minimize in-water effort and maximize your diving enjoyment. Another benefit is you will become a more eco friendly diver at the same time.